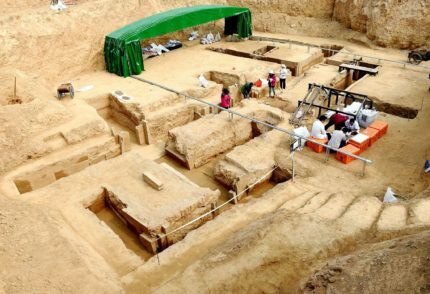 Almost a full gallon of ancient wine has been discovered in a tomb in the city of Luoyang, Henan province, central China. 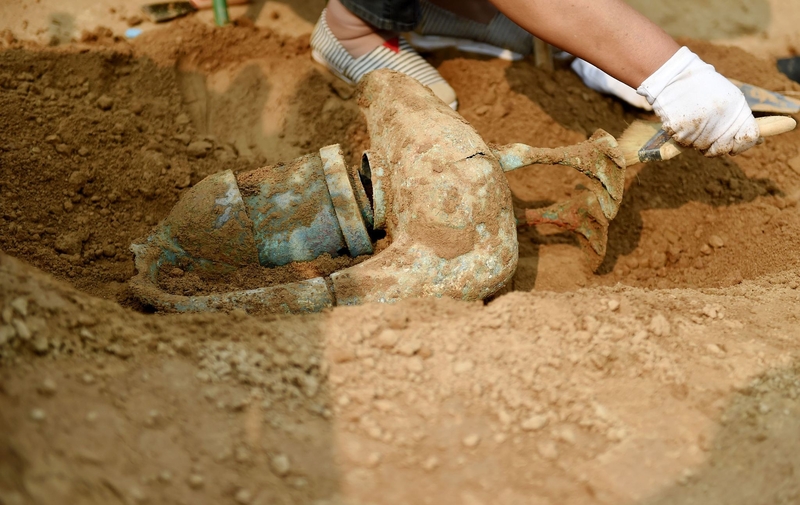 The tomb dates to the Western Han Dynasty (202 B.C.- 8 A.D.) and excavations have unearthed a large quantity of jade, clay and bronze artifacts in the tomb. 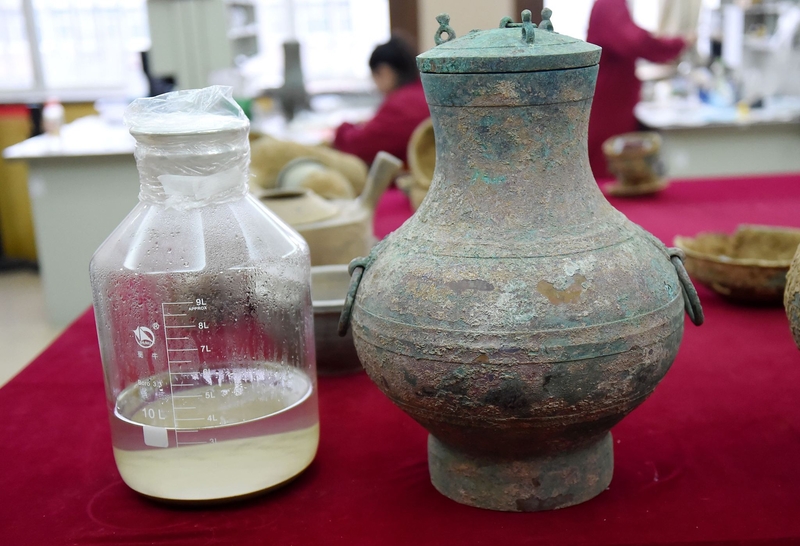 The copious grave goods were found in excellent condition, among them a pot-bellied bronze vessel that was found to contain a pale yellow liquid. Archaeologists haven’t explain whether or how the pot was sealed, but the lid must have been decently attached or else the contents would have evaporated. Instead, researchers were able to pour a full 3.5 liters of liquid into a beaker. Laboratory tests still need to be done on the fluid to confirm the identification, but it looks and smells like wine, specifically wine made from rice or another grain. 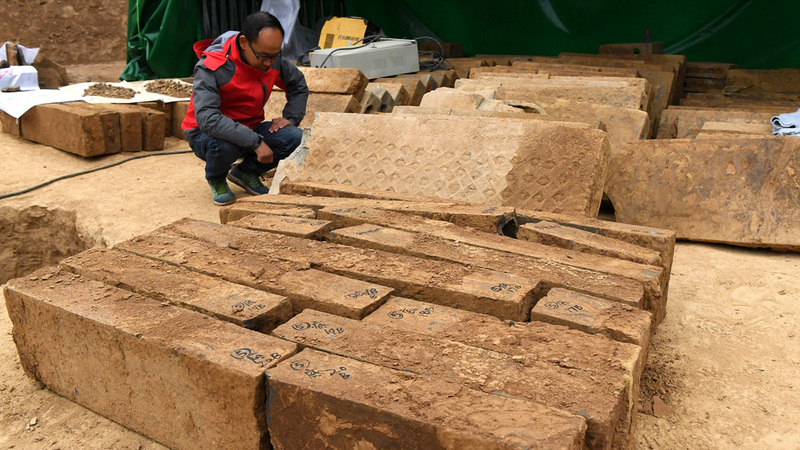 The tomb was constructed of hollow bricks, a technique that was common in the Western Han period for upper class tombs. The clay bricks were more expensive but more durable than wood. They were made in molds and stamped with relief designs before being fully cured. At 2260 square feet in area with six chambers and a corridor, this tomb held the remains of an important individual. The skeletal remains of said individual, an adult male, were found in the main chamber. The main chamber also contained the lion’s share of the artifacts. 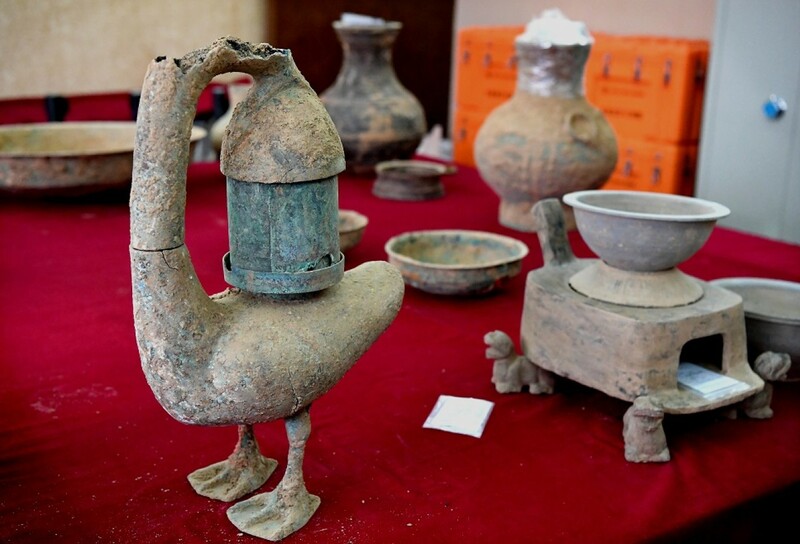 In addition to the large bronze vessels and the bronze goose lamp, archaeologists unearthed bronze mirrors and cups. In the north chamber were painted pottery vessels, copper plates, copper pots, copper stoves and other funerary offerings. It’s likely that the wine was an offering as well. Rice wine played an important role in celebrations, ceremonies, religious rituals and funerary rites. This entry was posted on Friday, November 9th, 2018 at 11:04 PM	and is filed under Ancient. You can follow any responses to this entry through the RSS 2.0 feed. You can skip to the end and leave a response. Pinging is currently not allowed. I believe I’ll have the Mad Dog 20-20 instead.